Pultruded open grating panels are available with a choice of spacing, or opening between the bearer bars of between 33%-60% of the surface area. The bearer surfaces may be further enhanced by an optional gritted coating, or covered and gritted top surface. 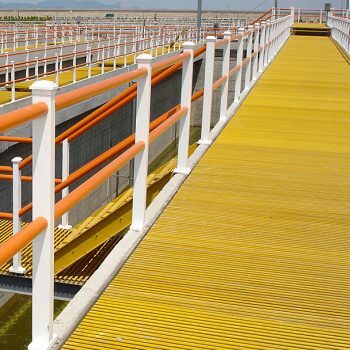 GRP Fibreglass pultruded bearer bars and transverse link rods. Full specifications and performance data for this product range are available upon request. *Note: pultruded gratings are available to order. Please contact us for further information on lead times. 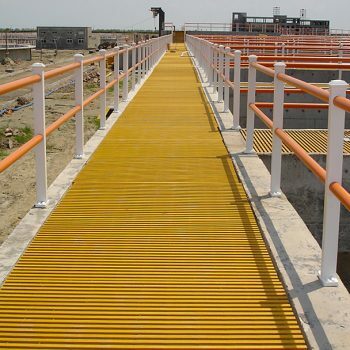 Pultruded open grating is manufactured by a process of pultrusion, longitudinal fibreglass rovings, multi-directional glass mat reinforcement, thermosetting resins and a synthetic surface veil are all combined to form an extremely strong and corrosion resistant structural section. These open gratings are suitable for both interior or exterior use, and applications include platforms, bridge decking and walkways. 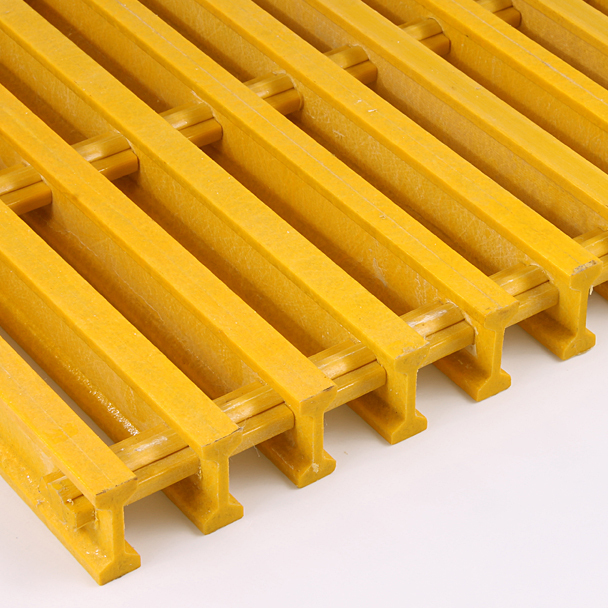 The relatively light weight of the product makes transport, handling & installation far easier than metallic gratings. Panels may be manufactured or cut to size before delivery to site for immediate installation, or cut in-situ using diamond tipped tooling and resealed using approved resin top coat.